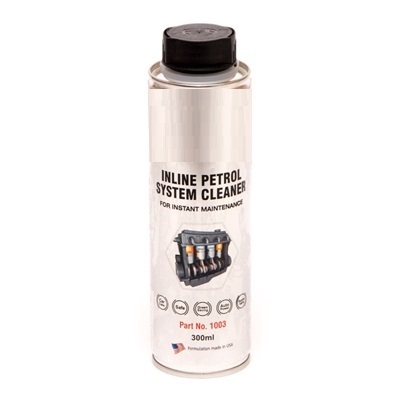 Inline Intensive Petrol System Cleaner is a ready-to- use highly effective combination of additives for cleaning all petrol injection systems such as K, KE, LJetronic and similar systems. The product has been developed and formulated for use in Jet-Clean units. Suitable for all petrol injection systems. For eliminating difficulties with starting, irregular idling, poor throttle response, performance losses, lean surging and high pollution values in the exhaust caused by contaminated injection systems place automatically.